This year, 2017, I only did 2 challenges, the Goodreads reading challenge and the Library Love Challenge. I had such a rough year in 2016 that I cut way back for this year. Now, though, I'm ready to take on more. 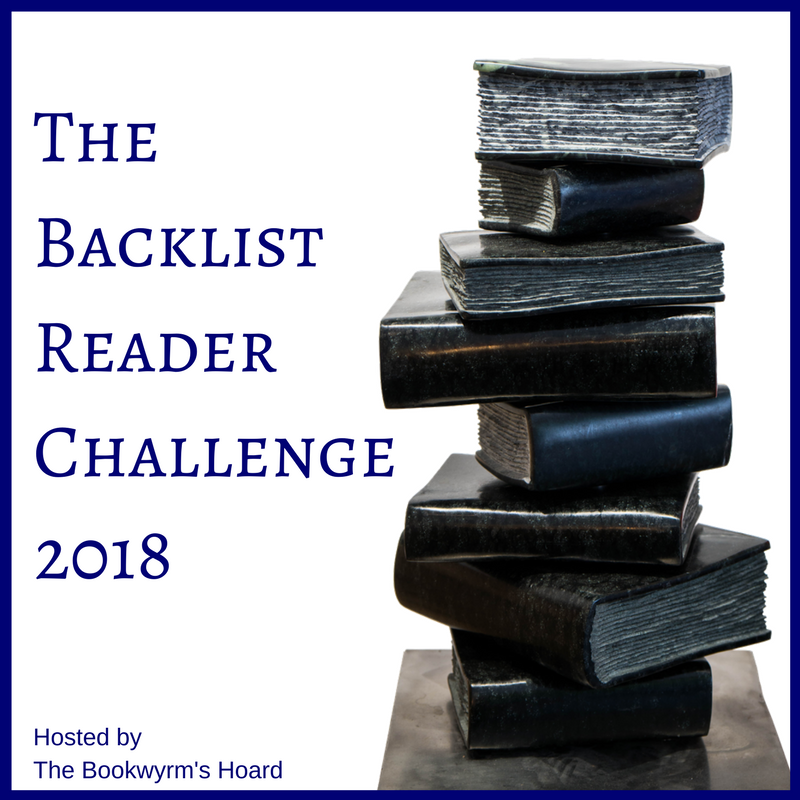 So for 2018, I'm doing not only the Goodreads and Library Love challenges but also the Blogger Shame challenge and the Backlist Reader challenge. This one is easy peasy. You join on GR and the idea is see how many books you can read for the year. There aren't levels to achieve and the only goal is what you set. This year, for the first time, I decided to count all of the books I read in my toddler classroom so I set a goal of 275 books. I not only achieved it but am currently at 351 books read for the year. For 2018, since I'm no longer teaching, my goal is 200. I want to enjoy what I read and not stress over making a goal. This one is hosted by Angela at Angel's Guilty Pleasures and Brooke at Brooke Blogs. The idea is to make use of your local library, saving yourself the cost of buying books. There are 5 levels to choose from and a giveaway you can enter by sharing your review links. I'm going for level 2, Thrifty Reader, 24 books. Sign up here. This is hosted by Anna at Herding Cats & Burning Soup and I participated a few years ago. I need this one so much. My backpile of review books is, indeed, shameful. Books from NetGalley and Edelweiss count, as do print books. You set your own goal, and mine is 12 books read and reviews written. Sign up here. This is a new challenge for me and one I'm excited about. As bad as my blogger pile is, it's nothing compared to my personal pile of books. :( It's hosted by Lark at The Bookwyrm's Hoard. There aren't any levels and you don't have to review what you read but there's a giveaway and for that you need to post review links in the rafflecopter. My goal is 24 books. Sign up here. Good luck with all your goals, and welcome to The Backlist Reader Challenge! It should mesh well with your library challenge. Yeah, there should be some overlap with those two. I'm looking forward to the challenges!